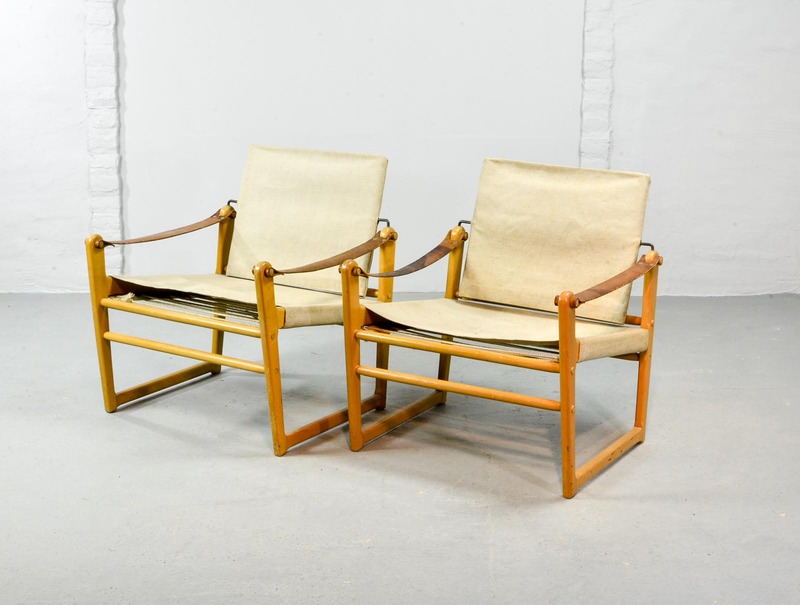 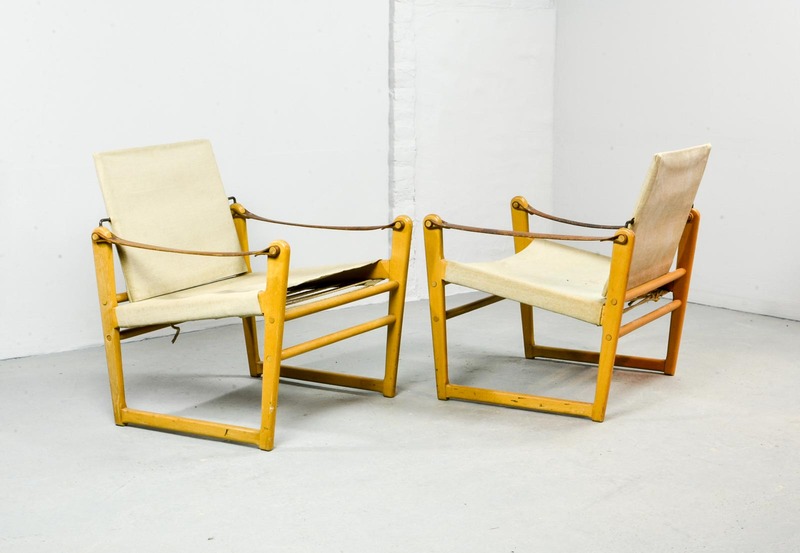 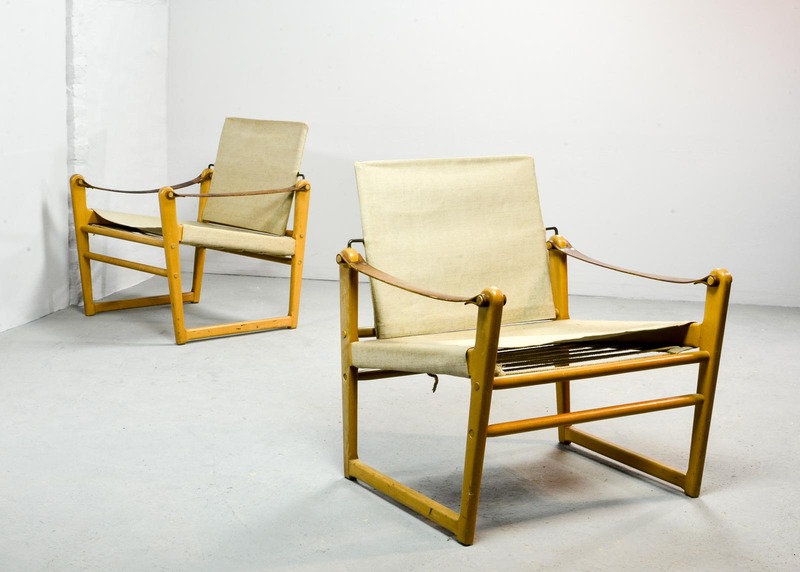 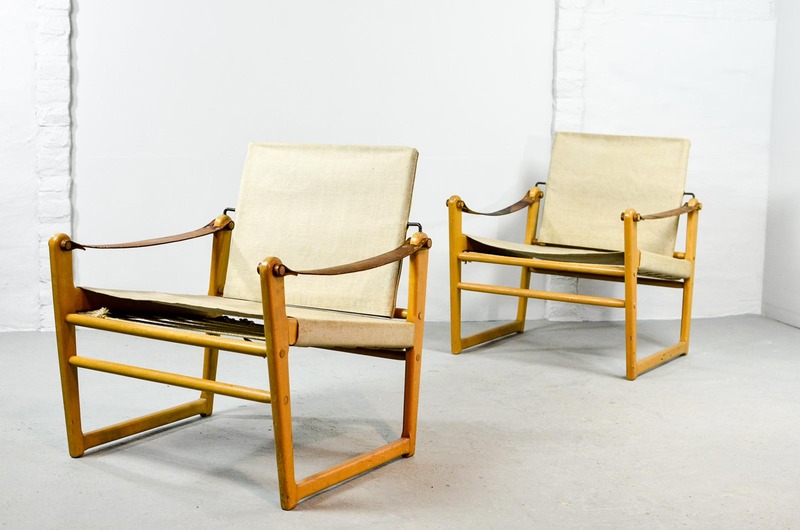 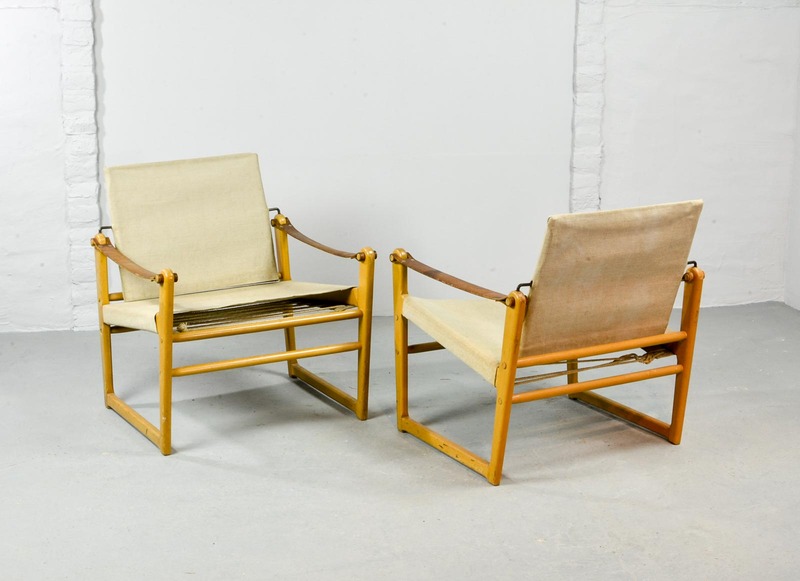 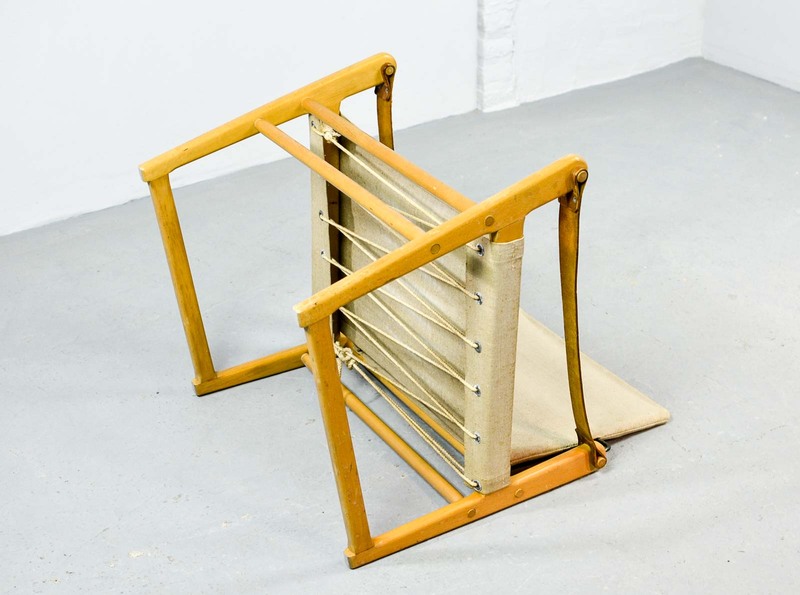 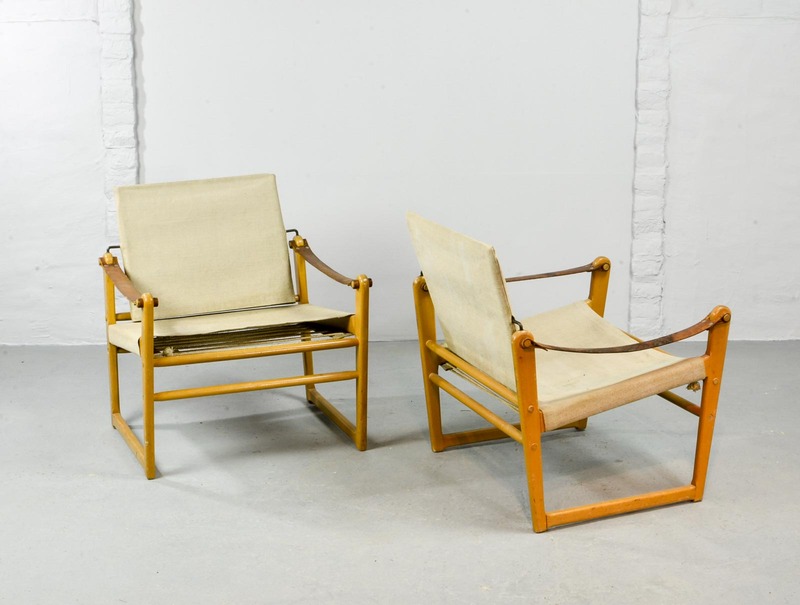 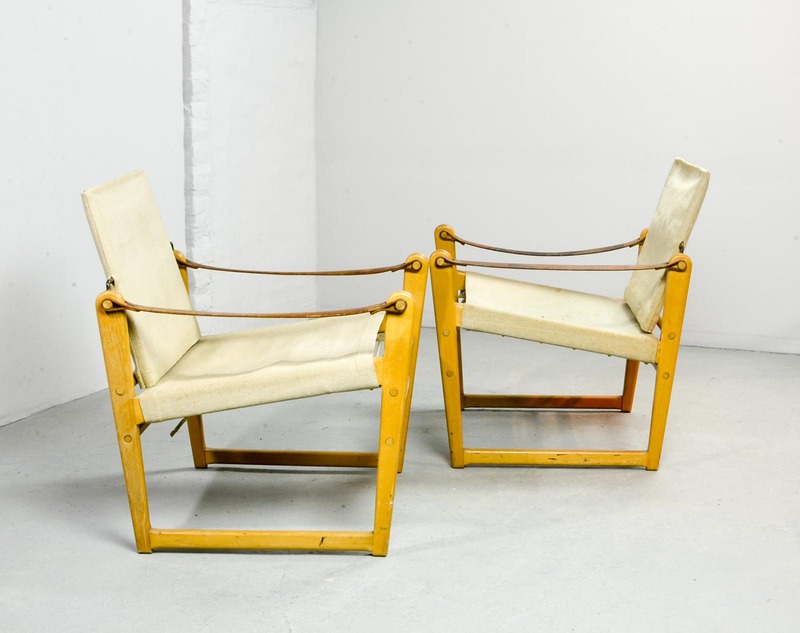 Mid-century Swedish pair of safari chairs designed by Bengt Ruda for Ikea in the 1960s. 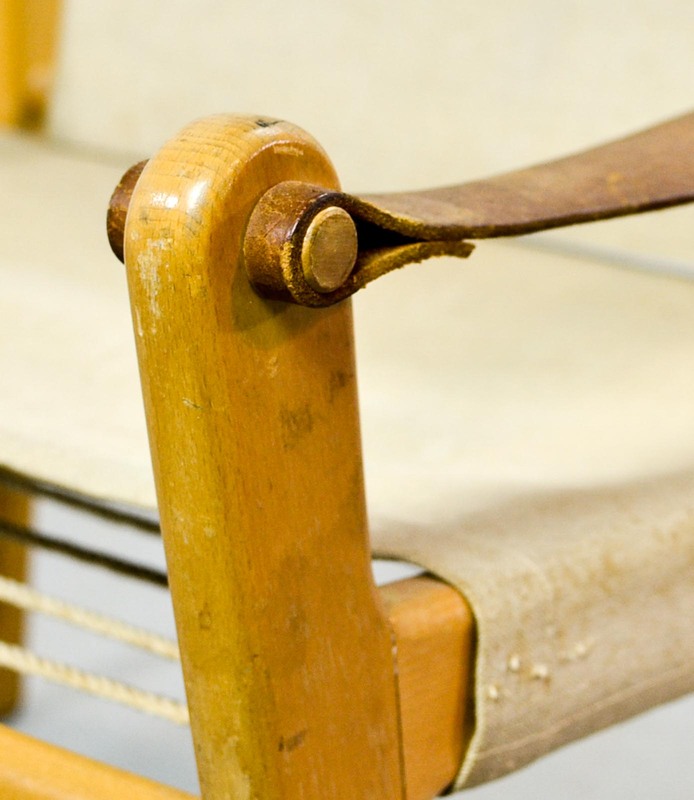 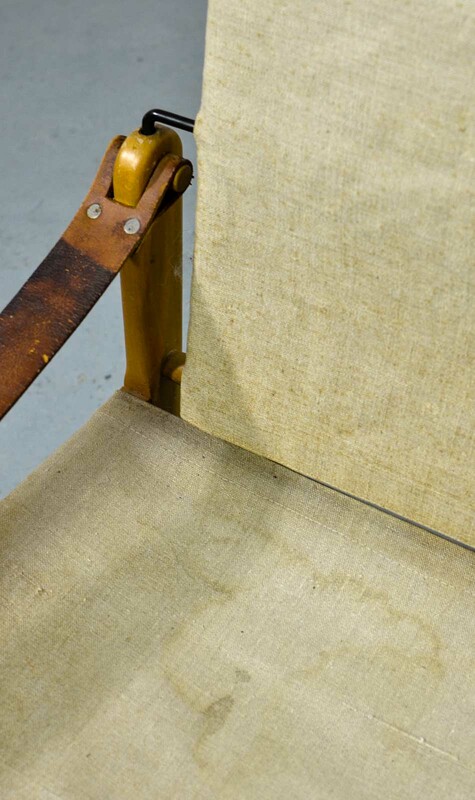 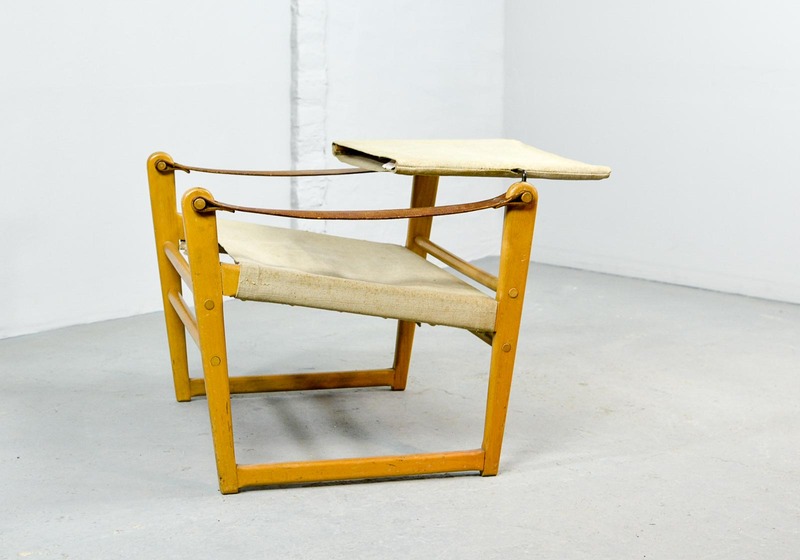 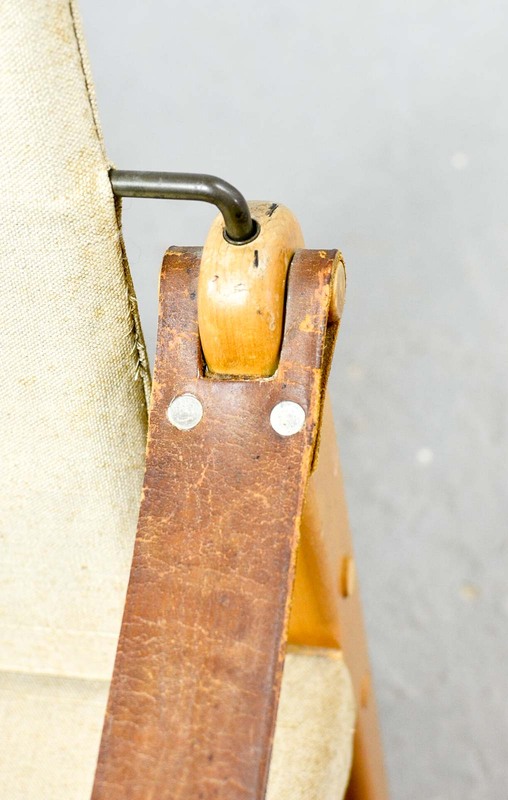 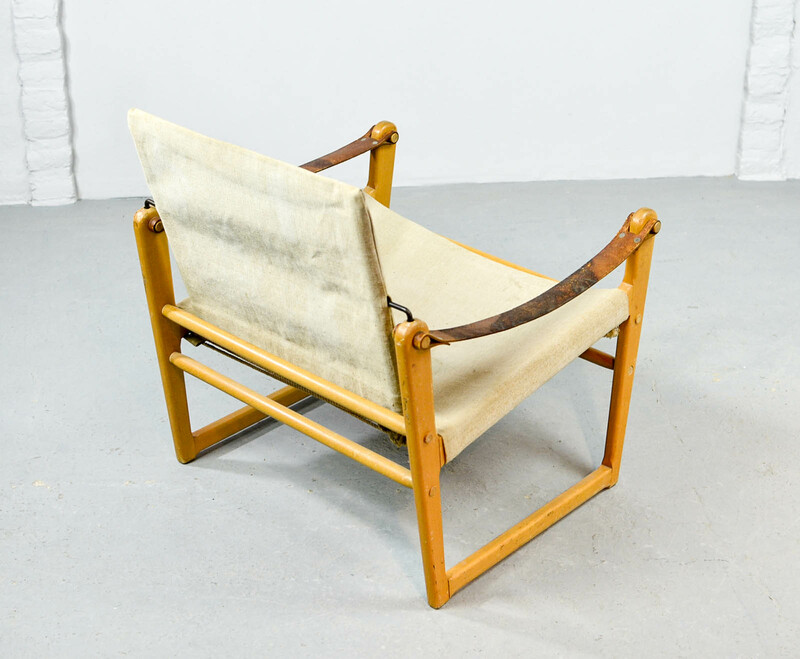 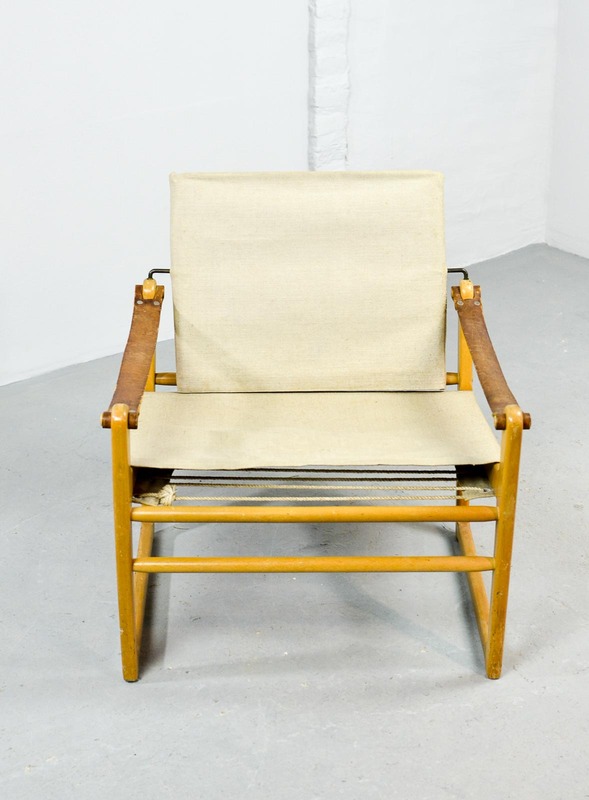 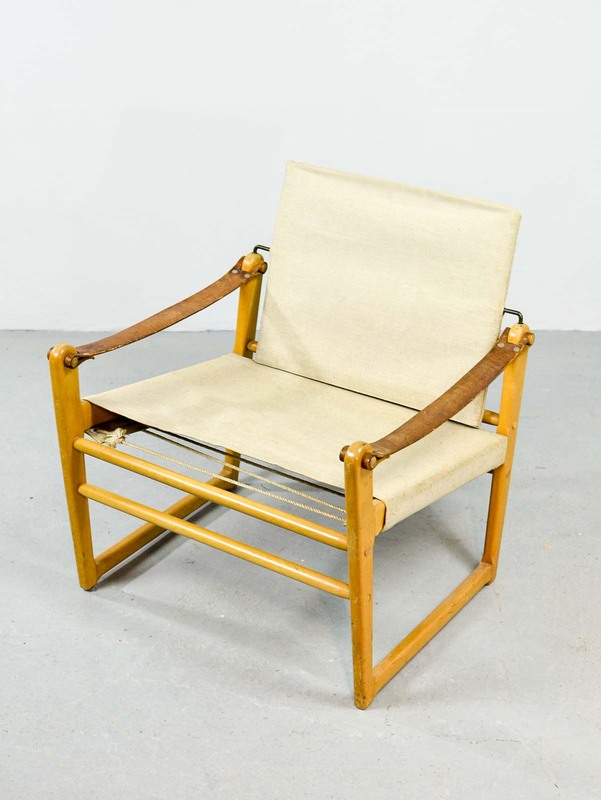 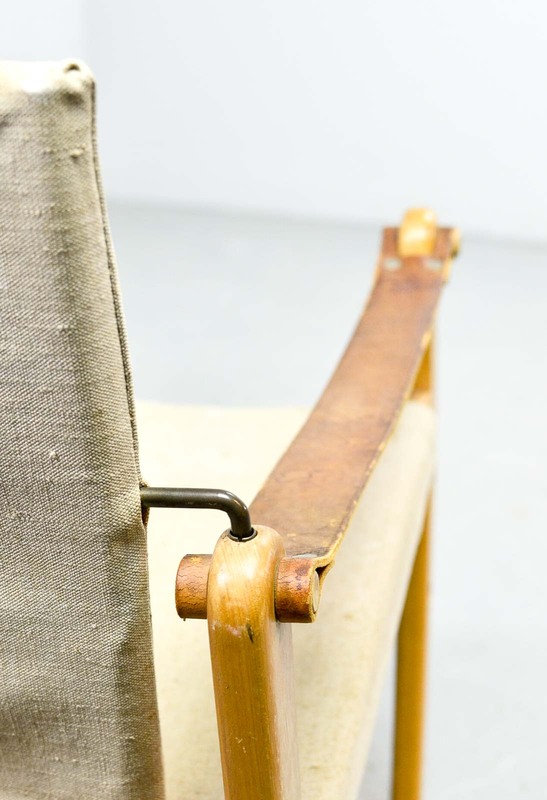 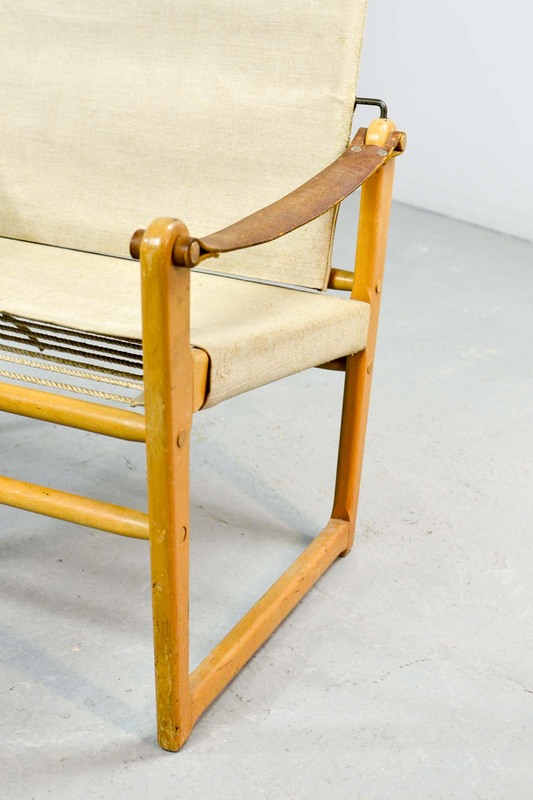 The beech wooden frame is upholstered with a canvas seat and backrest and features nice thick leather arm rests. 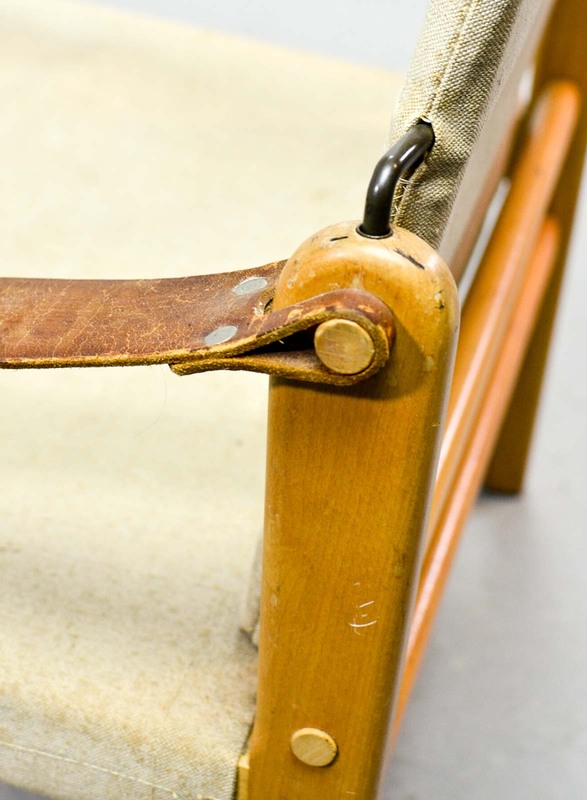 The set is very well preserved with minor wear consistent its age and use. 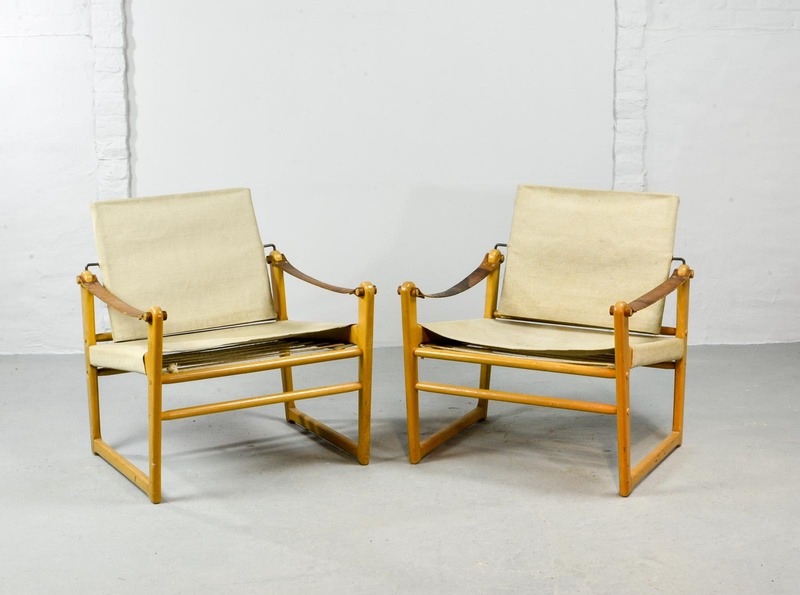 These chairs fits perfectly in a Scandinavian oriented interior or as an eye-catching side chair couple on its own.